Dr. Williams is excited about how people are helped through chiropractic care. He has dedicated himself to finding gentle and effective ways to adjust the spine with the intent of removing interference to the nerves – so the body is able to operate the way it is intended to. Dr. Williams was raised in Phoenix, Arizona. The fourth child in a family of 10, he was very involved in long distance running, wrestling, music, and family. At age 19 he served a mission for the Church of Jesus Christ of Latter-day Saints to Italy. While serving, those years of wrestling caught up with him and a chiropractor was able to help him stay and complete his mission. Years later, while serving in the U.S. Navy, another chiropractor not only helped with a water skiing injury but explained how important the nervous system is to the proper operation of the body. Dr. Williams felt drawn to chiropractic and after completing his Naval service he went on to graduate with honors from Life Chiropractic College – West in Hayward, California. Dr. Williams practiced a few years in San Diego/La Jolla and then in 2001 he joined Alexander Chiropractic in Livermore, California. “I love my association with the other doctors, the staff and especially the patients at Alexander Chiropractic. This is such a positive and happy place to be!” says Dr. Williams. 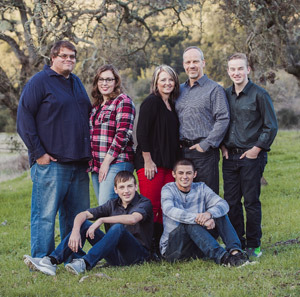 Dr. Williams is blessed to be married to Stacey Harris who grew up in Livermore. They have taken up the challenge of raising four wonderful boys – Devon, Brandon, Zachary and Carson.